If you were to describe the Shinnster Foil as a kite-board for foiling you can think of El Stubbo as a foil-board for kiting. 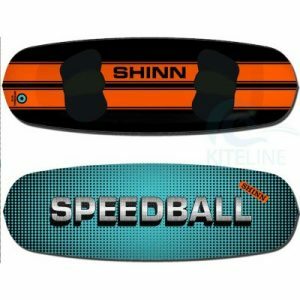 Short length, extra width for less than perfect footwork, high nose rocker to avoid touch-down catapults and a pulled in tail for easy control when carving – all features conceived for foil use which have proved infectiously entertaining for off-foil fun too. 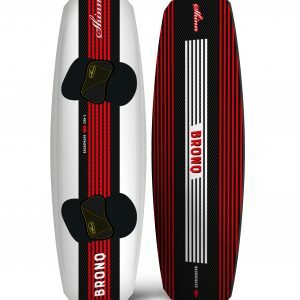 Few boards manage multi-use well but this beauty excels in sliding skate style, wave or hydro-foil action making it as close to the one board quiver as we’ve come. 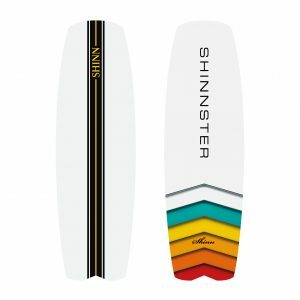 Utilizing our unique Foil Plate to add rigidity when needed and yet maintain controlled flex and chop-munching capabilities when ridden in moreconventional mode, El Stubbo can be taken with 0,1, 2 or 3 straps, in Quad-fin, twin fin or hydro foilflight mode. El Stubbo provides performance riding from 6 til 35 knots with only 2 kites, one foil and one board –outstanding versatility and fun on every trip to the beach. 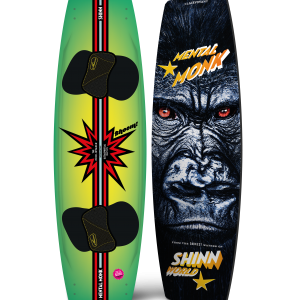 Fully equiped foil package including deck, 4 x 57mm fins, pre-applied pads, 3 x Sneaker LTD straps, foil plate and your choice of ALU or Carbon Zeeko foil. The ADHD is our highest performance freestyle deck. Stiff enough to perform yet comfortable enough to enjoy, the CLINIC won’t hold you back (so get your other excuses ready). By identifying the key features of a freestyle machine we’ve engineered in a more explosive kite-low POP giving you more time in the air to complete your move and yet softer more controlled touch downs allowing you to ride away no matter how sketchy things become. The Double Stepped Tips re-direct water as it exits the boards reducing drag and increasing directional stability whilst the vertical entry Split Concave increases the stiffness through the centre of the board splitting (not slapping) the water on landing. With a proven competition heritage take your level as high as you dare. Amazing upwind performance at all power levels, un-believable chop handling and full service carving, loading or transitioning. 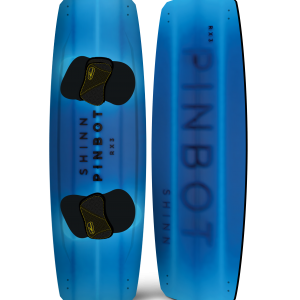 Our Pinbot RX3 is the board that provides the fastest way to master your riding in a myriad of conditions allowing you to approach your kiteboarding knowing it’s not your deck putting limits on your potential. Intuitive to ride and infinitely versatile the RX3 incorporates our renowned forgiving ride qualities making it the perfect board to help complete any moves that may need some polishing. Fast and enjoyable progress without the fear of out growing your ride as your level quickly improves. Rather than de-tune one of our higher performing models, we developed the Pinbot from the ground up combining all the features to be found in our award winning range at a more wallet friendly price point. Never a drop in the eyes whilst riding, almost super-human durability and what would be a range-topping weight for most other brands – you won’t be moving on from this board because you out-grow it. Focus on what you want to do, not what your board allows you to do. The Pinbot RX3 will push your game to the next level. Unbeatable control and ease, develop your style – fast! Our combination of a split concave central region and double step tip channels offers previously unheard-of levels of comfort in a performance board. Soft yet controlled landings and a reliable, unhindered set up no matter how harsh the water conditions will expand your confidence and take your riding to new levels. 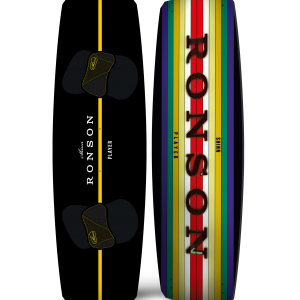 Hooked or un-hooked, strapped or booted, flat water or natural kickers – choose how you like it but know that with Ronson you’ll never have the wrong board under your feet again. 90-degree entry for improved edge grip at speed and buttery smooth landings. 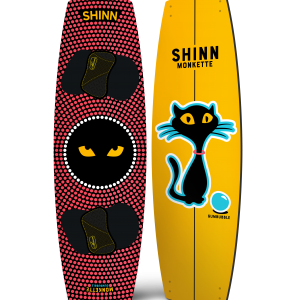 A kiteboarding phenomenon, the Shinnster has put a smile on the face of many a kiteboarder in the last few of years. For 2016 we’ve added to it’s unique performance and ease of use by adapting it to optional foil use. By taking advantage of our innovative foil plate we’ve maintained the shape and flex from the much loved original thus retaining the soft ride and intuitive feel however the addition of inserts means strapping it up and bolting the foil on is merely moments away opening up a whole new dimension inlight wind, flying fun. Make your choice from fins only for conventional riding or enjoy the full package with straps, surf pads, foil and plate for the open minded. Wax it, pad it, fin it or foil it – the Shinnster oozes style but only you can decide which one on which day. 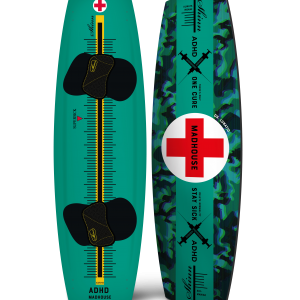 Fully equiped foil package including deck, 2 x 57mm fins, pre-applied pads, 3 x Sneaker LTD straps, foil plate and your choice of ALU or Carbon Zeeko foil. Maintaining the rocker and flex pattern from the original this overhaul makes the Shinnster more compact and “trickable” without influencing the critical rail length needed to achieve the powerful upwind and drive it’s famous for. Our all new Jet Stream tail channels increase the tail grip whilst using smaller fins to provide a better balance of sliding skate style moves and a more aerial style. Supplied with 53mm fins, add the new 3D shaped deck pad and 80mm fins to tune your ride how you like it. Lightwind, strong wind, choppy water waves….do you Shinnster? In a quest to discover the ultimate connection we turned to both the winter and two wheeled sports for inspiration. Tested and approved through many seasons the ratchet system had been time and again proven to provide reliable, trouble free and micro adjustable service. Easy one click adjustment ensure even the most demanding rider can find the perfect set up for their feet. Subject to 18 months of intensive research, development and testing (and we do A LOT of kiteboarding in 18 months) the Sneaker SRS represents a quantum leap forwards in both comfort and performance. Sneaker SRS – Light, Tight and frankly speaking… awesome. Micro Adjustable Ratchet system ensuring not only the perfect fit but sublime amounts of “stick-tion” as well. Zoned Surface Texture…. Grip where you need with no restriction on ease of entry. 3D shaped, form fitting, memory foam equipped surface to better support your feet. Super plush EVA heel cushioning provides precisely the right tactile feel whilst protecting your knees and ankles. 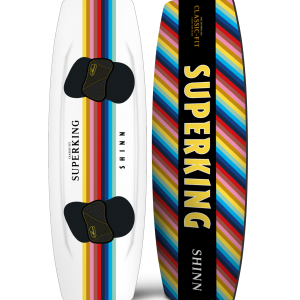 By using an adaptation of our Split Concave base, the Superking provides for exceptionally early planning, a smooth and comfortable ride with upwind performance that will both surprise and delight. By combining a naturally efficient rocker with bilateral flex tips the Superking provides carving, edging and POP normally associated with a higher wind range dedicated design. 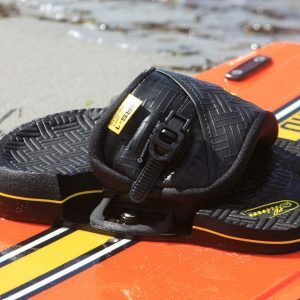 Kiteboarding is fun and more kiteboarding is better than less kiteboarding – we don’t all have the luxury of perfect conditions but the Superking guarantees on-the-water action on days that would previously be lost. 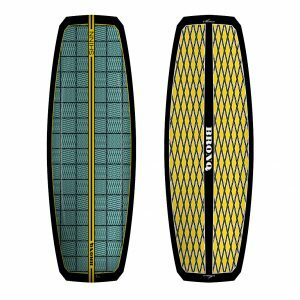 Joining the range as something unique and stand-alone the 150 Classic fit is quite probably the best move-orientated lightwind board available today. 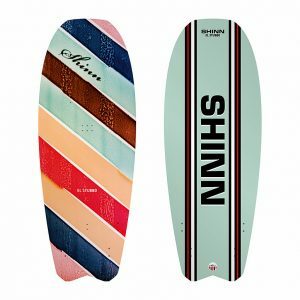 Designed to let you both increase your water hours and improve your skills in sub-optimal conditions this deck is the instigator of unexpectedly epic light wind sessions going far beyond what can reasonably be expected for a light wind board. The Superking Comfort fit has only one mission – absolute lightwind supremacy. Increasing your time on the water with amazing power efficiency and unbelievable upwind ability the 160 is both playful and forgiving with a sublime handling and comfort in chop rarely found in a “door style” deck. Designed for the pure love of kiteboarding the Superking 160 Comfort Fit is set to become an instant classic.